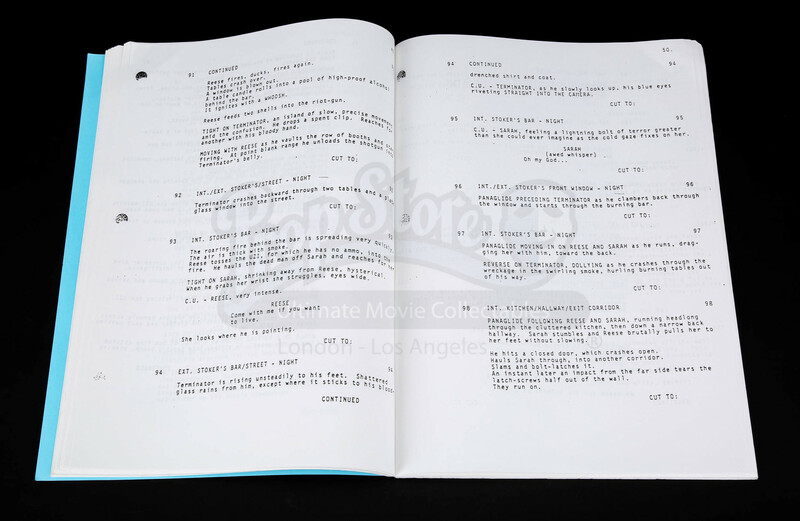 A script for James Cameron’s 1984 sci-fi classic The Terminator. An android (Arnold Schwarzenegger) is sent back through time from the future to 1984, to assassinate a waitress, Sarah Connor (Linda Hamilton), whose unborn son will lead humanity in a war against the machines. Kyle Reese (Michael Biehn) is a human soldier also sent back from the future to protect her. 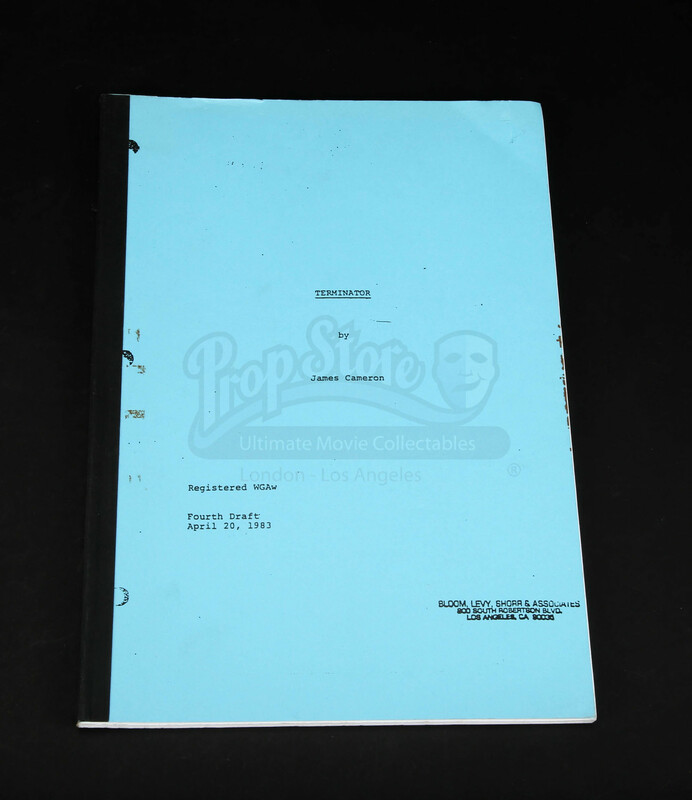 This photocopied script is a ‘file copy’, one used for script references in the production office but never used during shooting on set. 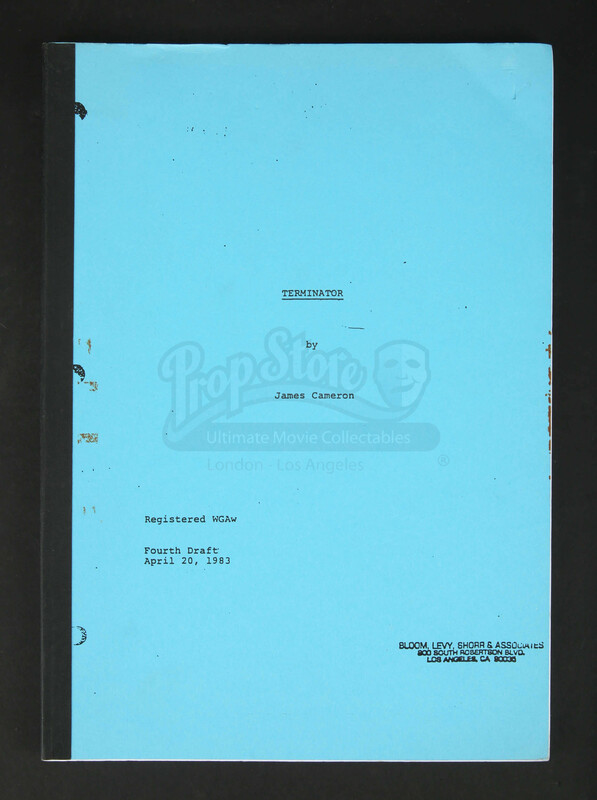 Written by Cameron himself and dated ‘April 20, 1983’, the script is 130 pages long and is bound with a blue card cover. 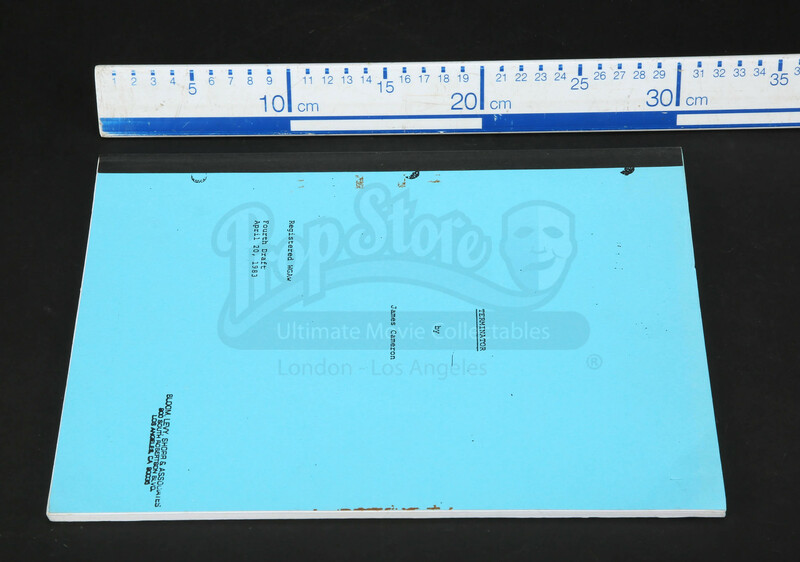 It is unannotated and features only minor wear from age and storage, including some creasing and discolouration on the cover. 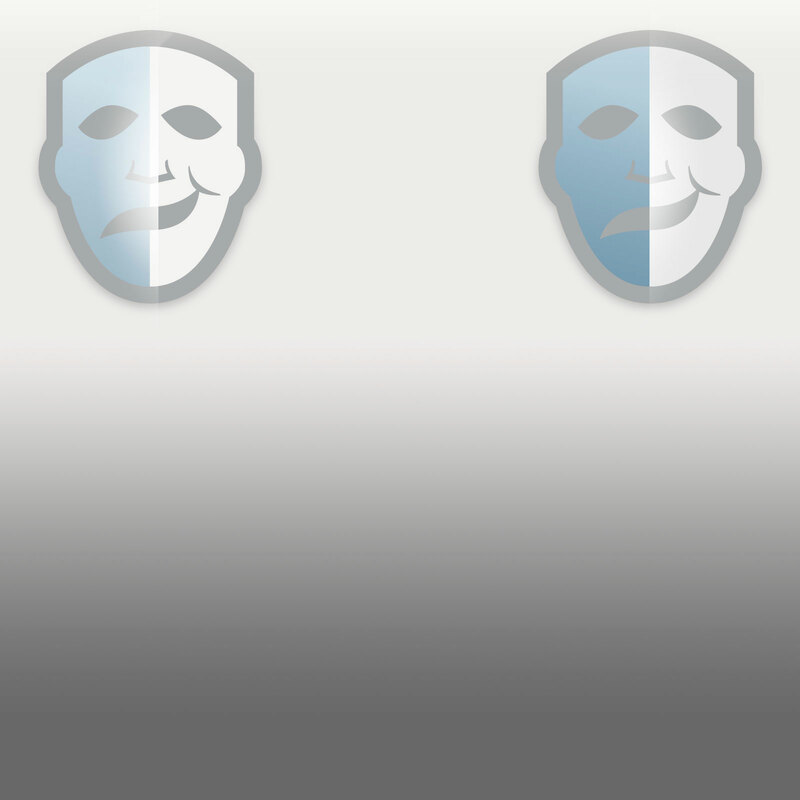 Despite this it remains in an excellent condition.